With beautifully decorated interiors and warm lighting, Hotel Prerna located near Gandhi Udyan Park, is worth every penny. 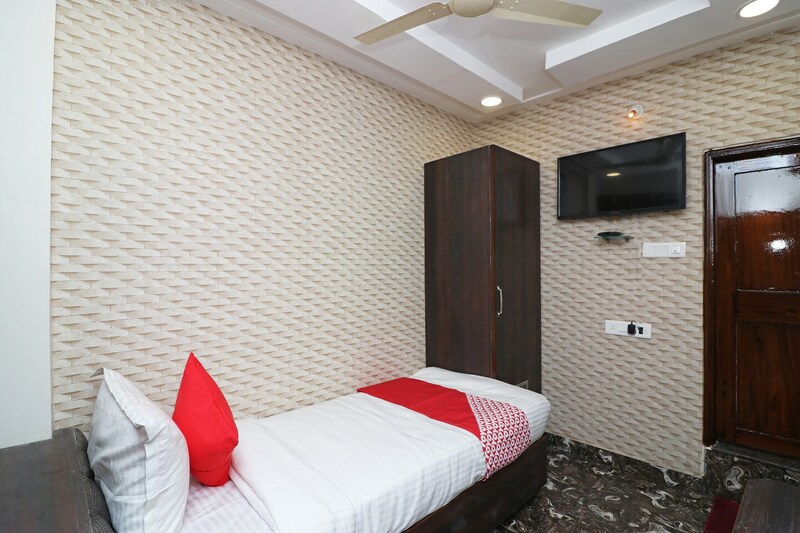 The hotel promises a blissful and cozy stay in the city with rooms that are completely furnished with essential amenities including a mini-fridge. These absolutely clean and well-lit rooms have modern wallpapers, dark curtains, and bright cushions that give a bold accent to the rooms. The bathrooms are well-maintained and provided with a geyser for winters. The hotel also offers free WiFi services, kitchen, and a seating area. Security is also a priority and CCTV cameras are installed at key locations. Guests can also explore nearby eateries that serve delicious dishes.